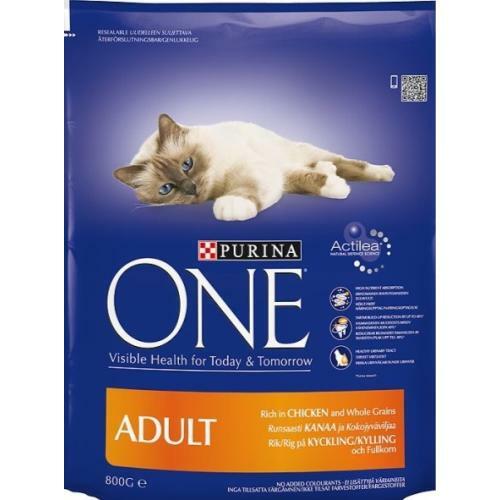 Purina One for adult Cats is nutritionally made for those aged 1-7 years. Evolved by Purina’s Vets and nutritionists this product contains prebiotics proven to promote a healthy gut, antioxidants for healthy cell functions and yeast to support immune systems. This triple actions helps to support your cat’s natural defences. Made with high quality ingredients that will reduce tartar build up by 40%, maintain strong and healthy bones with Vitamin D, keep a healthy urinary tract with balanced minerals and leave their skin and coat healthy and shiny with the support of Omega 6 fatty acids and Zinc. The tasty succulent chicken flavour will delight your cat.